there are plenty of reasons to love amsterdam. 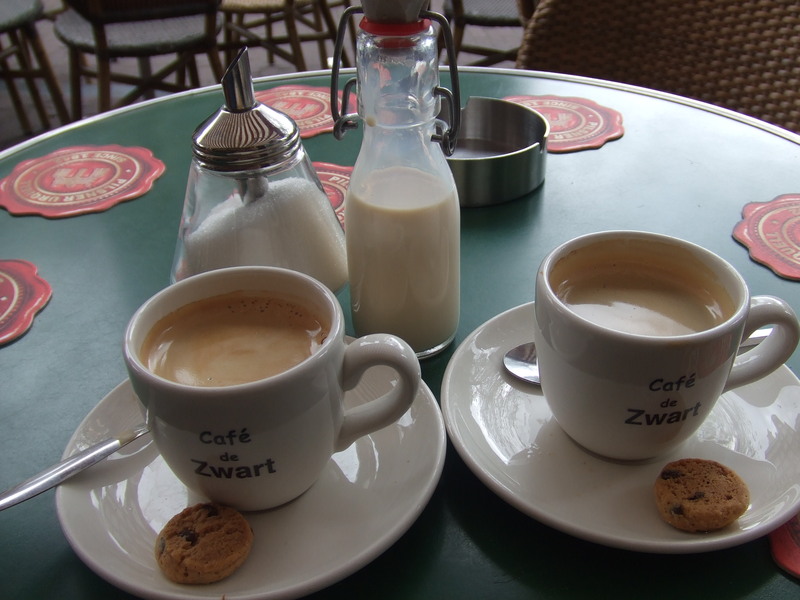 one can get fantastic coffee, regardless of which random café one stumbles into…. 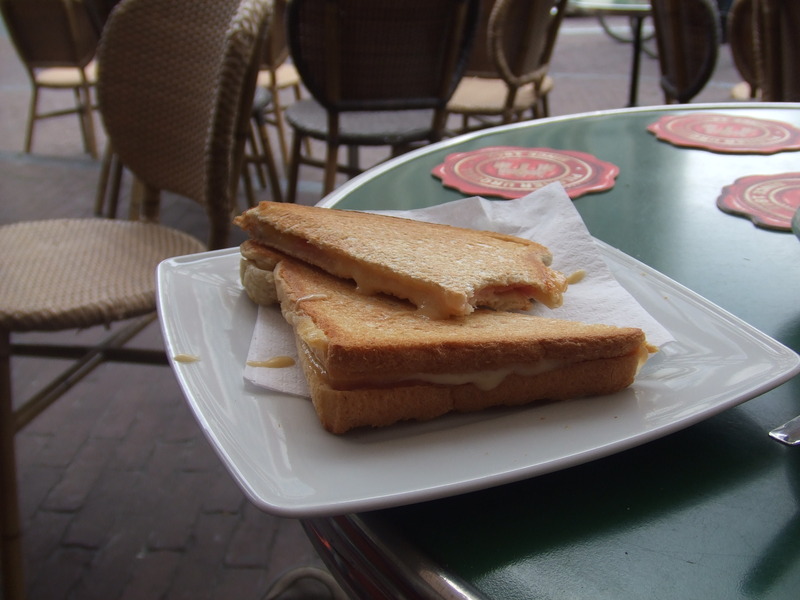 and even the lowly toastie – the dutch version of a grilled cheese and every pothead’s main food group – provides a fine basis for various shleps around town, to name just a few. of course, one cannot live on toasties alone. sometimes, a heartier lunch is required. like a good burger – something to behold & cherish, for all burgers are not equal. 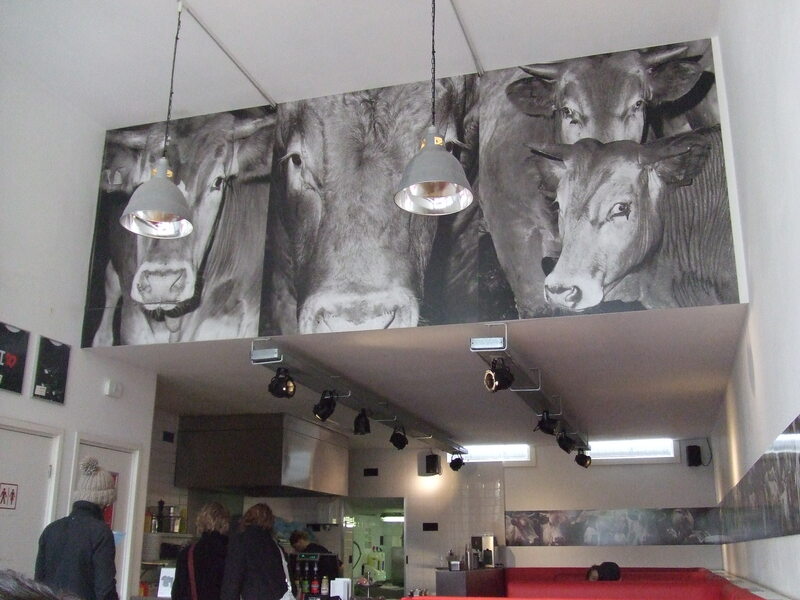 thanks to a great source of culinary information for anything amsterdam, the restaurant blog dutchgrub, i had taken mental note of the burgermeester – a local chain with 3 locations neatly spread out within the city center, one in short walking distance to our pad in the jordaan. upone entering the burgermeester, it’s pretty clear where the meat comes from (all ingredients are locally sourced, organic and humanely raised), even though there are other options, such as chicken, lamb or salmon burgers. 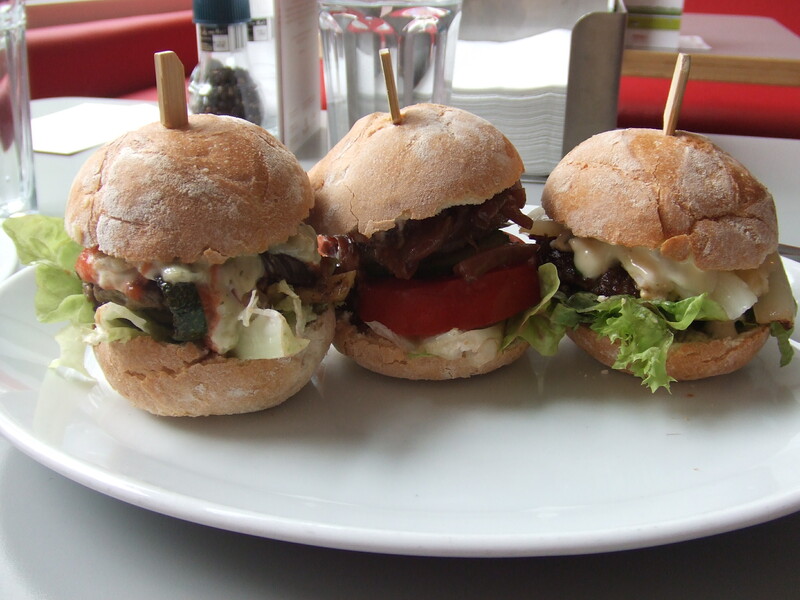 because we were hungry, but not that hungry, we decided to share a mini trio – 3 slider-sized burgers of our choice. burgermeester offers a “burger of the month”, which in this case – since it was the middle of may – came with beef, fresh white asparagus, and hollandaise. sounds kinda gross, no? well, i’m a suckah for asparagus, so i had to get it: delicious. the other two were great, too – a lamb burger with red onion jam (!) and the “meester” burger with grilled vegetables and dragon mayonnaise. it was in fact so schmecksville that it made us wish we had each ordered our own trio. oh well. 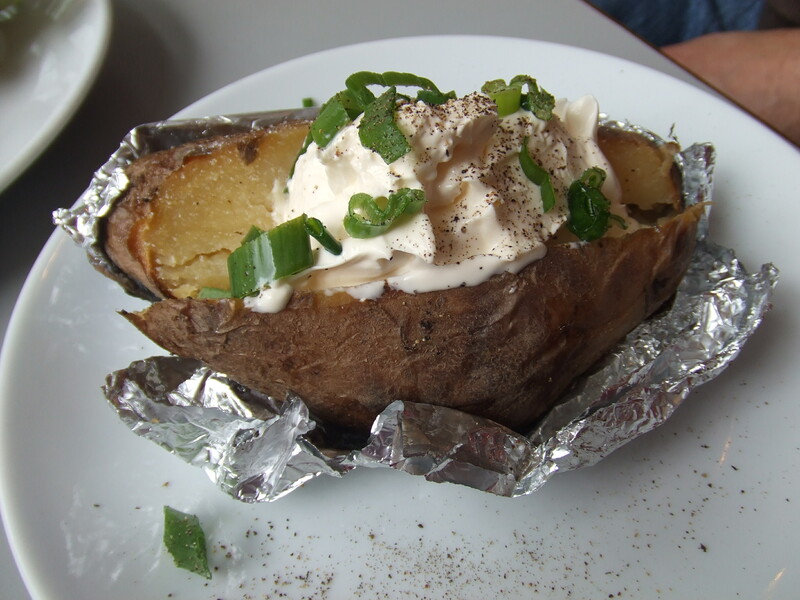 thankfully, we had ordered the “gepoofte aardappel” on the side, which i had cleverly identified as something potato, but figured it’d be wedges – well, it turned out to be a delightful baked potato with crème fraîche and scallions. you say potato, i say eat it. 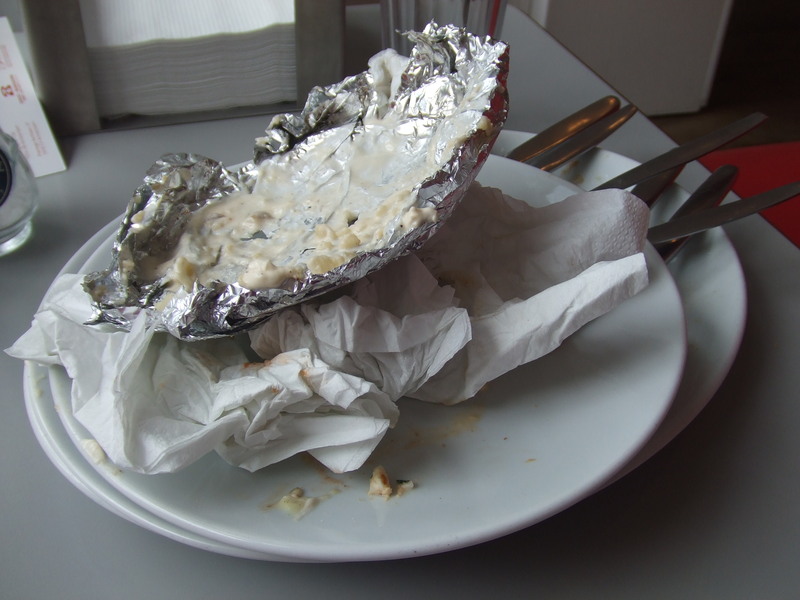 i guess we really liked that potato, too. Tja. An sich soll man ja in Amsterdam mindestens einmal eine Rijsttafel gegessen haben – die Auswahl an indonesischen Restaurants ist weiß Jott groß genug. Diese mäßig interessante Erfahrung brachte ich allerdings bereits vor Jahren hinter mich und hatte seitdem nicht das Verlangen nach Wiederholung. Weil wir dran vorbeilatschten, fiel die Wahl ausgesprochen zufällig auf Sukabumi – ein Name, der unweigerlich Missy Elliot (http://www.youtube.com/watch?v=F3ryylWe8Gk) in meinen Kopf zaubert. Der Service war freundlich und aufmerksam, die Preise moderat und das Essen durchweg lecker, wenn auch weiterhin keine Offenbarung. Diverse Curries, Gemüse mit Erdnußsauce, geschmortes & gegrilltes Rind und Kroepoek wurden flugs auf drei Warmhalteplatten gestellt und munter & zügig verzehrt. Auf meine Nachfrage hin gab es auch ein Extraschälchen mit einem scharfen Sößchen Richtung Sambal Oelek. Dazu gabs ordentlich Heineken – die Iren waren zufrieden.